Do you sometimes feel a little bloated after eating lots of hummus? For one, it might be because you just ate a lot of hummus, hehe. But perhaps (just perhaps) there’s another reason. Have you heard of the FODMAP diet? Far from being an actual “diet”, the FODMAP diet has been on the lips of many lately. FODMAP stands for fermentable oligosaccharides, disaccharides, monosaccharides and polyols, all of which are compounds in food which may be hard to digest for some. The FODMAP diet is exclusion of these fermentable components in food. For many who have been struggling with digestive issues for years, the FODMAP diet has provided symptomatic relief. If you have suffered from irritable bowel syndrome or digestive issues for quite some time, yet can’t put your finger on the culprit, I suggest consulting a registered dietitian and inquiring about whether FODMAPS could be the root of the problem. 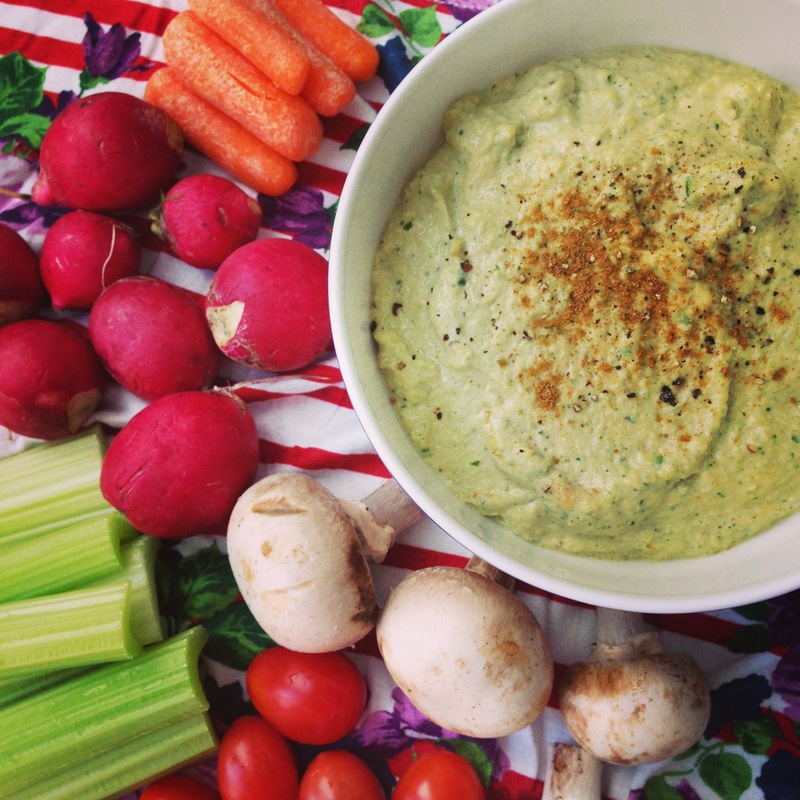 That said, whether you avoid FODMAPS or not, this hummus is A1 (and low in FODMAPS)! Chickpeas have been swapped for zucchini, and the result is less bloating, and literally blew me off my feet! Put in a serving bowl and sprinkle with cumin (and a touch of olive oil, should you like). Scoop up with tortilla chips or veggies. N.B. Save any leftovers to use in a sandwich. Hiya! Thanks for visiting! Let me know your thoughts if/when you make this! I sincerely hope you dig it! Oh I love hummus, but would never have thought about trying courgettes, I must give it s whirl. Thanks for sharing. I’ve made chick pea hummus a lot and my family loves it, recently I tried making it with sun-dried tomatoes and basil it came out awesome, surprising meal for my family. 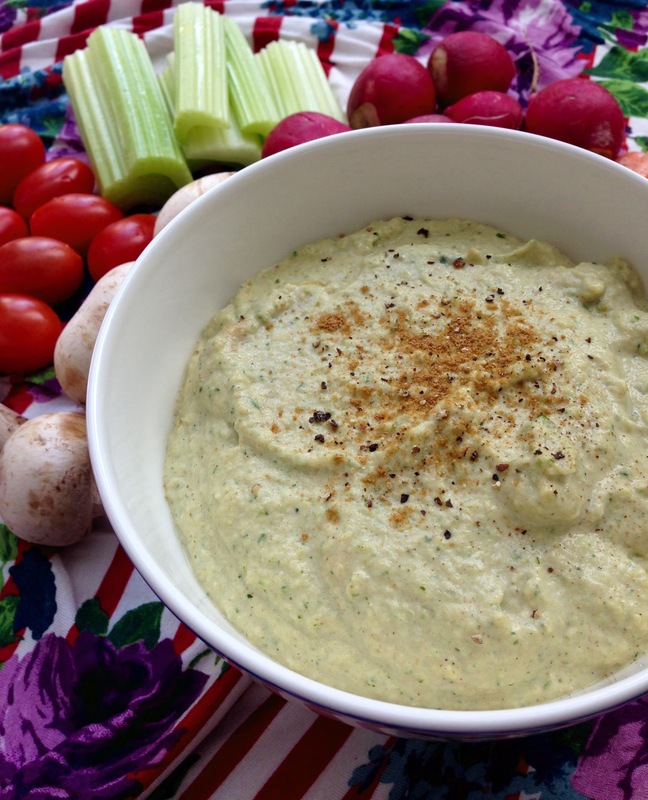 Never knew about Zucchini hummus. It looks so healthy and simple to prepare, another surprising meal for my family. Adding to my list. Seema! That is amazing! I hope you enjoy it – but let’s just say it’s pretty hard not to! 😉 Have an awesome day!